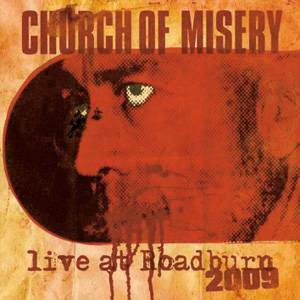 Church of Misery - "Live at Roadburn 2009"
It is not that often that a concert you were actually at gets released on a vinyl record and a friend gets his photos on the inside as well. Anyway, this is a very powerful set of tracks from several of their records and they even played two tracks from the House of the Unholy record, which was not yet released (El Padrino and Shotgun Boogie) at the time of this recording. The B-side is the better of the sides and the band really freaks out on the ending track, For Madman Only. If you are a fan of this 70's doom rock serial killer band, you will dig this for sure.